Macgo iPhone Cleaner is an excellent iOS cleaner tool runs on Windows. It can clean up most junk files on iPhone, iPad, iPod Touch to free up storage space for more fun securely. Whenever you found your iPhone running slow or running out of space, you can ask help from it. Overview Macgo iPhone Cleaner can Clean up most junk files. Quickly dig out redundant and useless files on your iPhone and strike them out with just three clicks. These junk files include Messages, Call History, Contacts, Mail, Calendar, Reminders, Notes, Voice Memos, Photos, Videos, Safari History, Voice mail, App cache. The operation is simpler and faster than any other cleaner Apps for iPhone, which would save you a lot of time and let you pick up right where you left within two minutes. It perfectly free up storage space for more fun. Under most situations, people can easily run out of space of their iPhones. Another amazing function of Macgo iPhone Cleaner is that it can help you reclaim more space that you need for other purposes without deleting your precious info. After the cleanup, it could free up a lot of iPhone disk space and make your iPhone speed up like a new iPhone. Since we are surrounded by high technology, your iPhone, iPad or iTouch are under great risk of leaking private information, however, this App will turn them into a risk-free device. All procedures of cleanup are under the guarantee of your privacy. When the scanning process is over, the program automatically displays you every software\\'s size of junk file. You can select the ones you want to clean just by clicking on its left side. What is New in version 1.4.0? 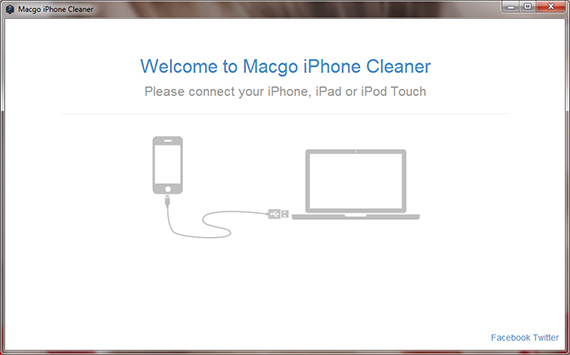 Macgo has released free version of Macgo iPhone Cleaner. BurnInTest is an easy to use software tool that simultaneously exercises all of the major components of a computer, to test for endurance and reliability. Tests inlcude CPU, RAM, disk, video, CDROM, printer, serial, parallel, USB, tape and Network.